Rosatom is eager to expand its mutually beneficial partnership with India, as the country’s demand for electricity continues to grow. During a meeting on the sidelines of last month’s BRICS Summit, Indian Prime Minister Narendra Modi invited Russian President Vladimir Putin to not only visit India’s capital in December 2014, but also the state of Tamil Nadu, where a nuclear power plant is being built based on Russian technology. 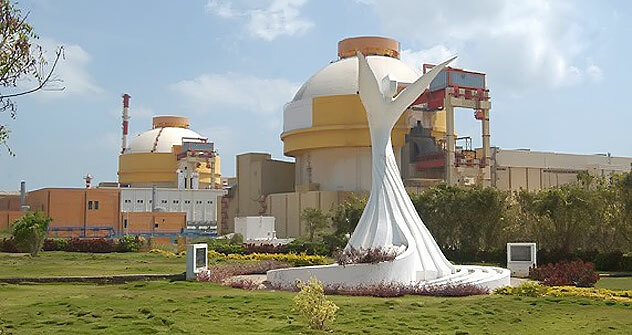 “I think this is a good opportunity to visit the nuclear power plant in Kudankulam (KNPP). This will be a very good visit; we have a joint project there,” said the Indian Prime Minister. It does not happen often that the head of one government invites his counterpart to visit a nuclear facility. This, first of all, demonstrates the trust that India and Russia have towards each other. However, without doubt, it also demonstrates the confidence put in Rosatom’s technologies, thanks to which one of the world's most modern nuclear power plants has sprung up in India. It is quite symbolic that the first power-generating unit at KNPP was powered up to full capacity in the year of the 60th anniversary of the commissioning of the world's first nuclear power plant in Obninsk (USSR). Furthermore, this plant has been built by Indian specialists based on the Russian project, and has all turned out very well, and I am sure that very soon we will celebrate the commissioning of the second unit at this plant. Is it beneficial for India to cooperate with Rosatom? The importance of the launch of nuclear plant to generate electricity is difficult to overestimate for India’s booming economy. The two power units with a capacity of 1,000 megawatts generate about two billion kilowatt-hours of electric power per year, which should help alleviate the problem of electric power shortages in southern India. However, a stable, full-fledged power supply is required in other regions of the country as well. Rosatom seeks not only to preserve but also expand this mutually beneficial partnership. In this regard, the invitation of Putin to the nuclear facility also means that the partners wish to cooperate further in the nuclear sector. Case in point is the construction of the third and fourth units at KNPP. Like the first two, these twins with VVER-1000 reactors, in terms of their technical and economic parameters and security systems, can be classified as fourth generation atomic energy facilities. Russia and India signed the General Framework Agreement for the construction of the second stage of KNPP as far back as in April. However, the interaction of nuclear scientists from the two countries cannot be limited to just the nuclear power plant in principle. Indian scientists have already made significant progress in a number of nuclear areas. For several years now, a working group has been identifying areas of mutual interest in scientific and technical cooperation. These fields are fast reactors, the thorium fuel cycle, blanket acceleration systems, high-current proton and ion accelerators and controlled thermonuclear fusion. A separate topic being discussed is the construction of a nuclear facility for distillation desalination systems that would resolve the problem of water supply. Rosatom willingly shares its technologies, experiences and competences with India, which is justified economically, as this opens up the possibility not only to develop new products in the nuclear fuel cycle, but also to jointly enter the markets of third countries. Summarizing all the above, I would like to state that long-term close economic cooperation between India and Russia, including that within the framework of BRICS, has provided a powerful new impetus to the development of the two countries. The partners’ relationship involves openness and the mutually beneficial exchange of the latest cutting-edge achievements in the field of science and technology, including such a super-technological sector as the nuclear power industry. And the nuclear power plant in Kudankulam is a technological jewel which the partners can be proud of. The writer is an international nuclear power industry expert.